These “snapshots” identify best practices for sustainable tuna fishing. 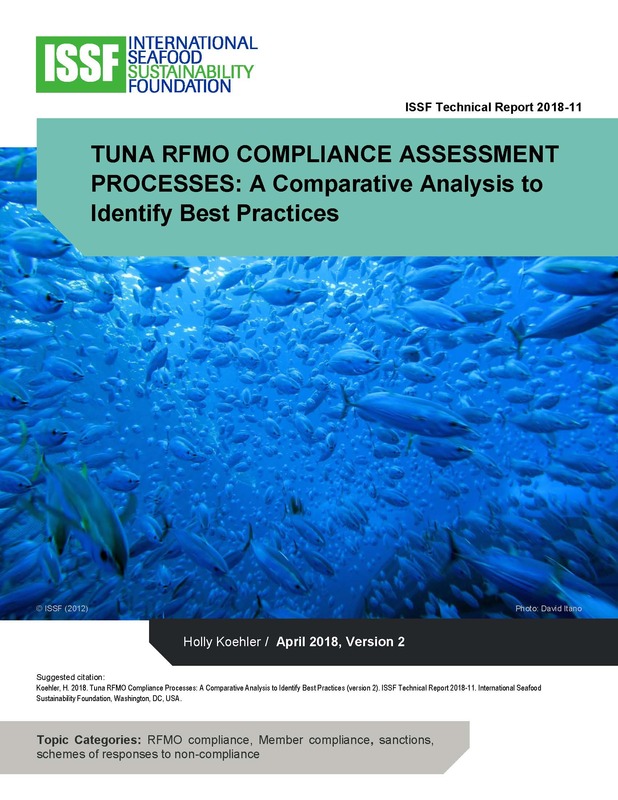 In detailed tables, they also compare tuna Regional Fisheries Management Organization (RFMO) progress in implementing them. Read our companion “best-practices” technical reports on these topics. Purse seine fisheries in all oceans are required to carry some level of human observer coverage in accordance with measures adopted by the relevant regional fisheries management organization (RFMO) for some or all of the year or in certain areas. Existing observer programs vary in terms of program management, entrance requirements, training program structure and course content, and the function of the observer, among other areas. This Technical Report surveys a number of national and/or regional or sub-regional programs in place and in use in the Atlantic, Pacific and Indian Oceans, and it develops a set of best practices for human observer programs for purse seine vessels. See also our RFMO Best Practices Snapshot on observer requirements.